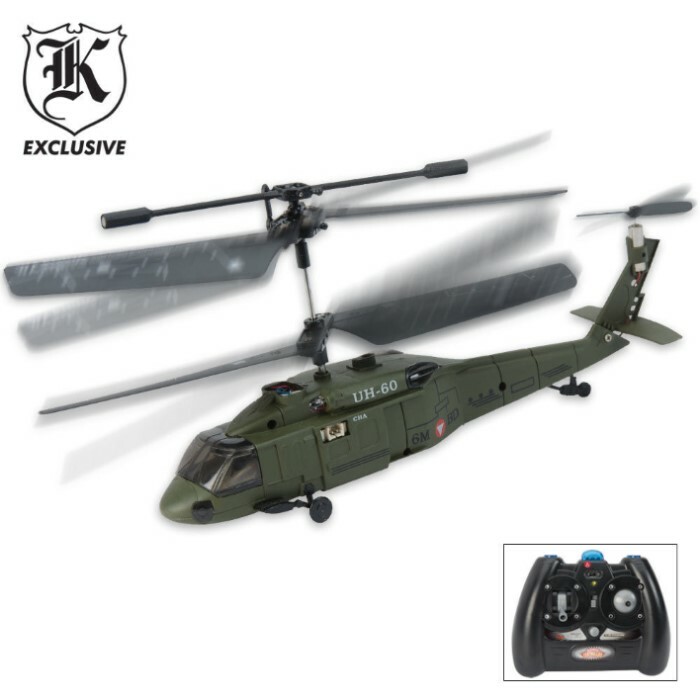 3 CH Micro I/R Black Hawk Helicopter | BUDK.com - Knives & Swords At The Lowest Prices! This 3-channel remote-controlled chopper is the perfect gift for flight enthusiasts. A back-spinning blade stabilizes this beast while the main blades control the up and down motion. The high-precision controls allow for up, down, front, back and left to right controls. It's internal rechargeable battery makes sure you've always got plenty of charge for flight. Includes remote controller, charger and battery.